Three small businesses have won cost-plus-fixed fee, indefinite-delivery/indefinite quantity contracts to update hull, mechanical and electrical systems of the U.S. Navy’s active and reserve fleet. 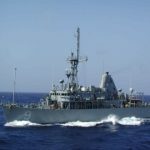 The military service awarded $57.3M to Amee Bay, $63.8M to Aviation Maritime Support Services and another $63.8 to Thermcor for technical and engineering support services to the Naval Surface Warfare Center Philadelphia Division’s HM&E modernization programs, the Department of Defense said Monday. Tasks will include advance planning, prototype assessment and final design shipboard installation. Work will take place at contractor facilities, naval bases, shipyards and repair shops within the continental U.S. The Navy received five offers for the contracts via a competitive solicitation process and obligated $628K in total funds at the time of award.